Rindai Chipfunde-Vava is the Director of the Zimbabwe Election Support Network (ZESN). She is a political scientist and a Stanford University fellow. Rindai formerly served as the Zimbabwe Country Coordinator for Southern African Human Rights NGOS Network (SAHRINGON) and as the Program Coordinator for the Zimbabwe Human Rights Association (ZimRights). She has observed many elections under the different bodies of the Southern African Development Community (SADC), as well as in many countries in Africa, Asia, North and South America. She is a BRIDGE Accrediting Facilitator and certifying training in the Leadership & Conflict Management for Electoral Stakeholders (LEAD) methodology. 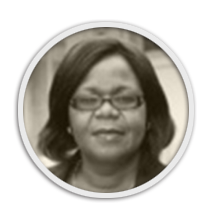 Moreover, she has expert knowledge and understanding of key electoral issues and development at the national regional and global level from having worked over 20 years to support democratic and electoral processes.